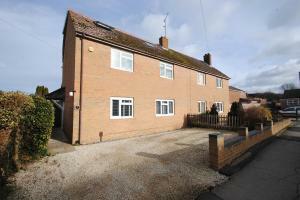 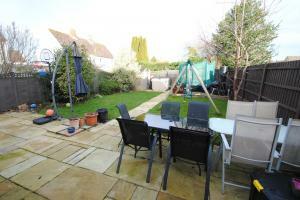 An exceptionally spacious three storey semi detached house. 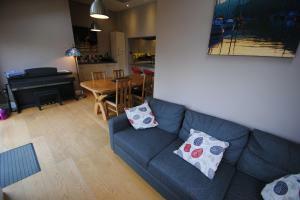 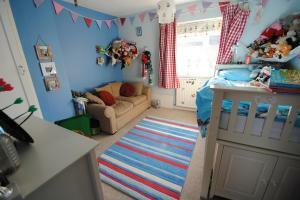 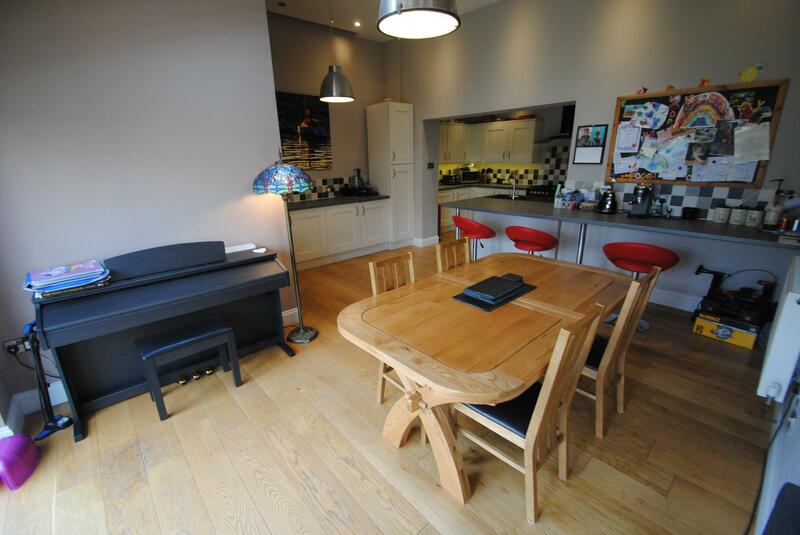 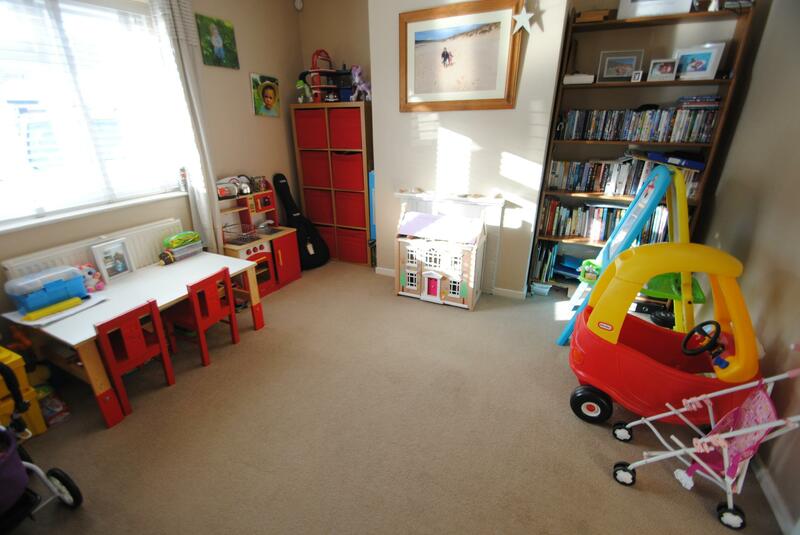 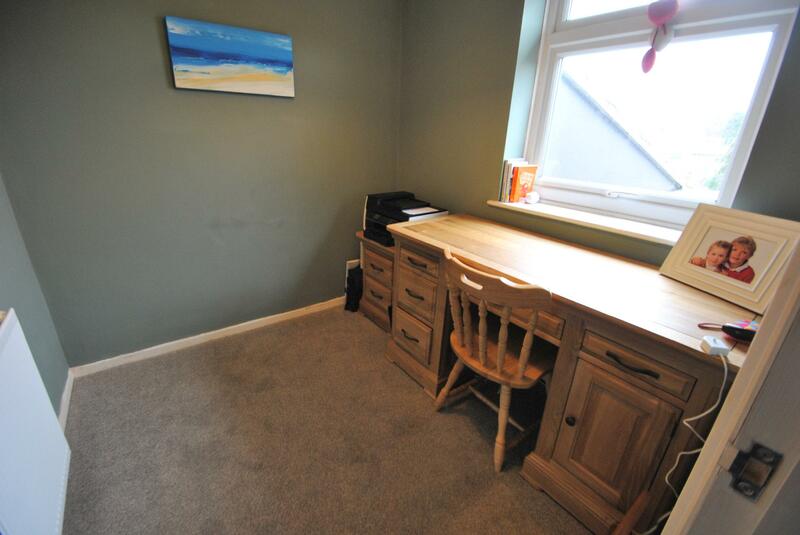 The property has recently been extended to offer extensive family living accommodation. Some of the outstanding features include impressive open plan kitchen/dining/family room with bi-folding doors to patio and garden, five good sized bedrooms, generous lounge and lovely views to Cleeve Hill. 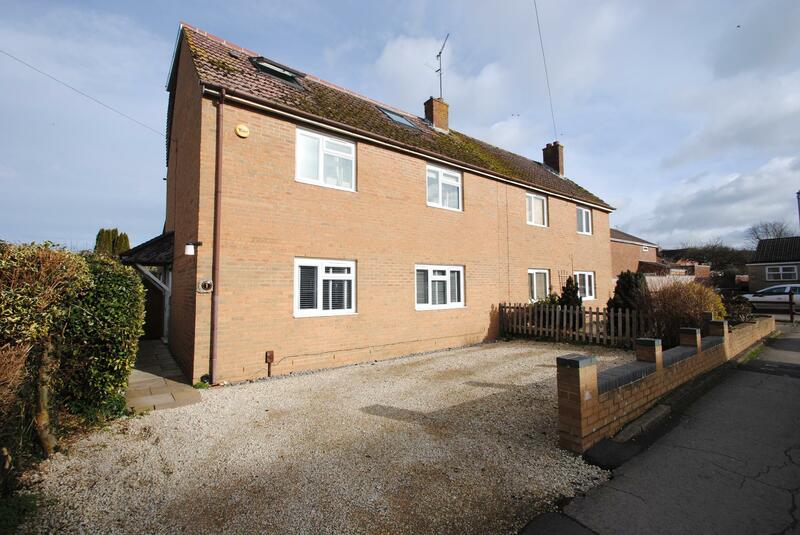 It is situated in a sought after village location within small cul-de-sac, convenient to the village centre with its extensive range of amenities. 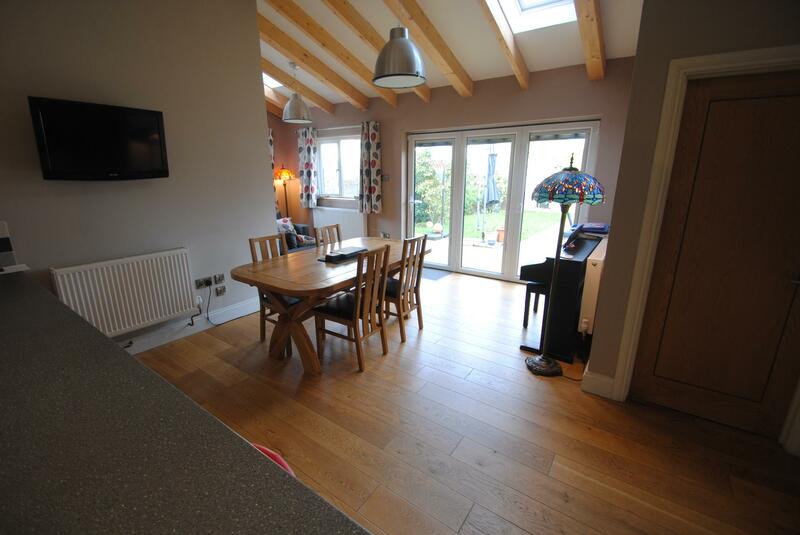 Canopied entrance porch leads to an entrance hall with doors to wet room, lounge, open plan kitchen/dining/family room and stairs to landing with first floor living accommodation. 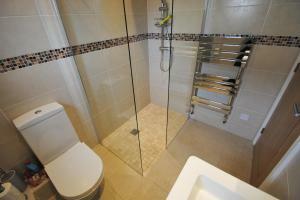 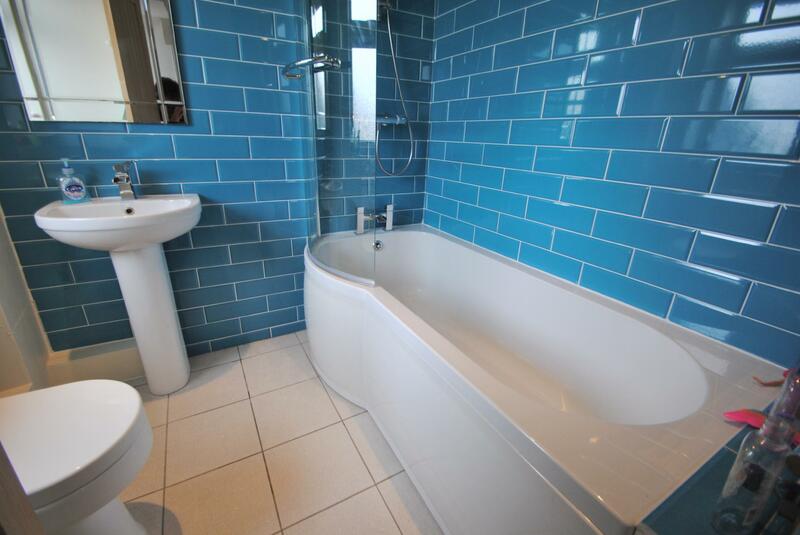 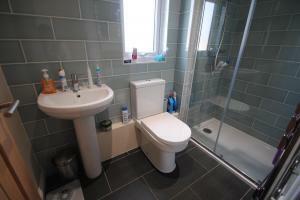 Wet room, fully tiled with modern white suite and shower with glass screen, low level WC, vanity wash hand unit. 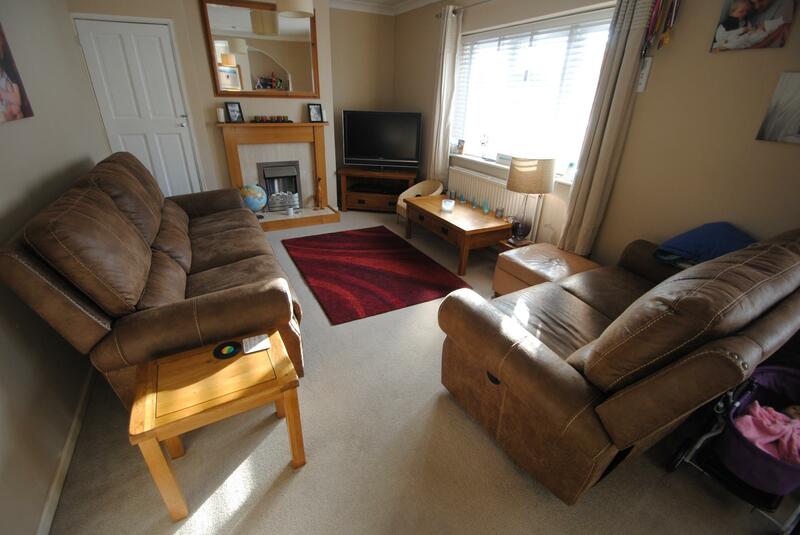 Lounge; windows to front aspect, fireplace surround fitted with pebble effect electric fire, built in storage cupboard. 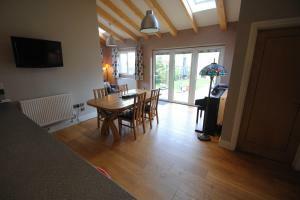 Open plan kitchen/dining/family room; Bi-folding doors to patio and garden. 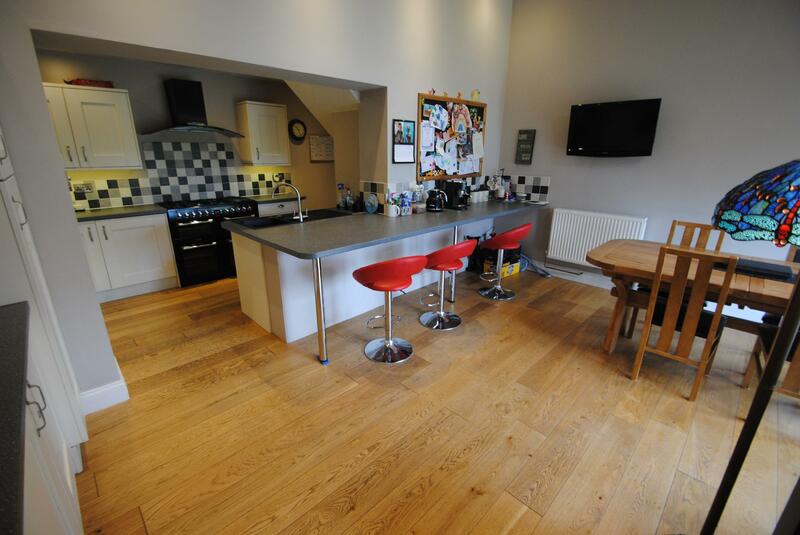 kitchen fitted with a matching range of eye and base level storage units with brushed metal handles, space for range cooker with extractor hood, integrated fridge and dishwasher, breakfast bar, vaulted ceiling with wooden beams, contemporary lighting, LED downlighters. 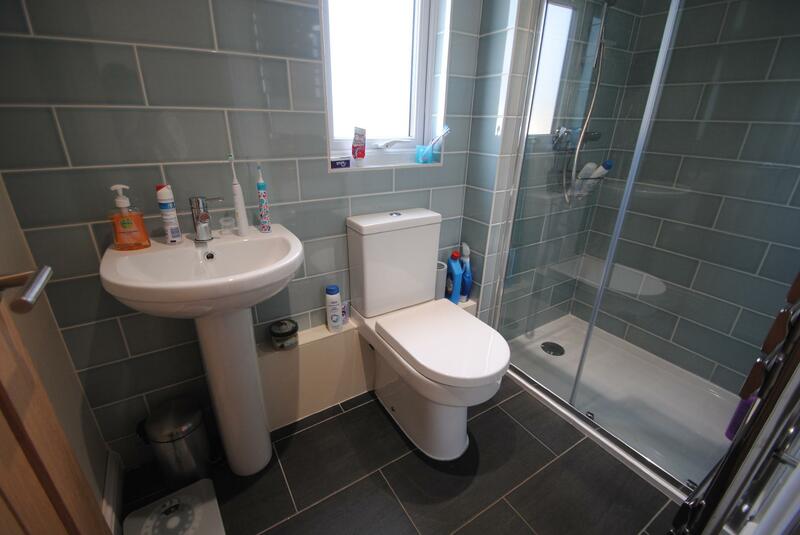 Utility room; fitted with a matching range of eye and base level storage units, work surface, single drainer sink unit, appliance space. 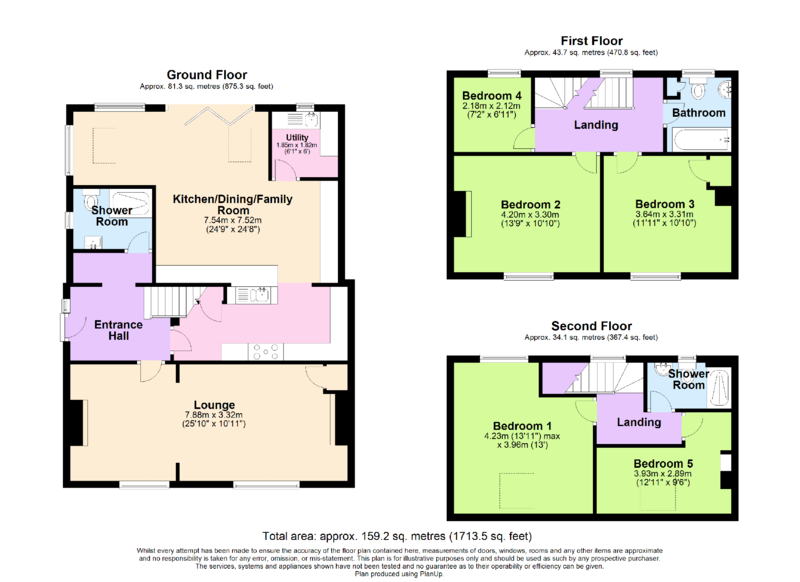 First floor landing; window to rear aspect, doors to family bathroom, bedrooms one, two and three and stairs to second floor landing. Second floor landing with window to rear aspect with lovely views to surrounding hills, doors to shower room, bedrooms four and five. Shower room with modern white suite comprising built in shower, WC and wash hand basin. 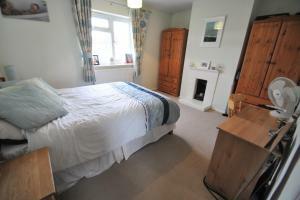 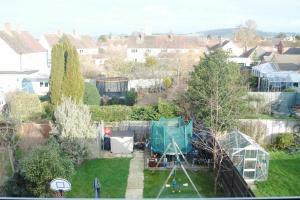 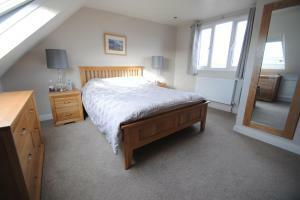 Bedroom four; double aspect windows with lovely views to Cleeve Hill and over the village. 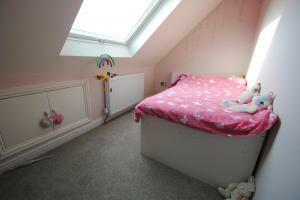 Bedroom four; window with lovely views to hills. 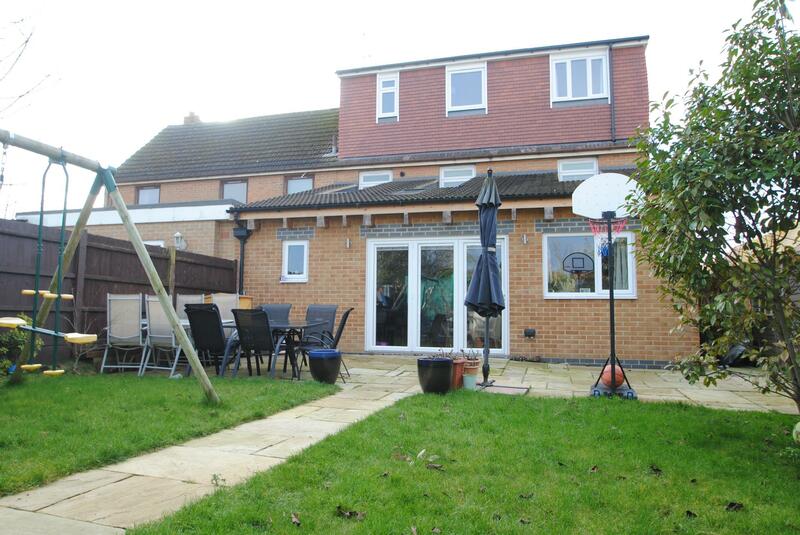 Front garden being partly enclosed with walling and mainly laid to stone chippings offering hard standing for two vehicles, gated side access to the rear garden. 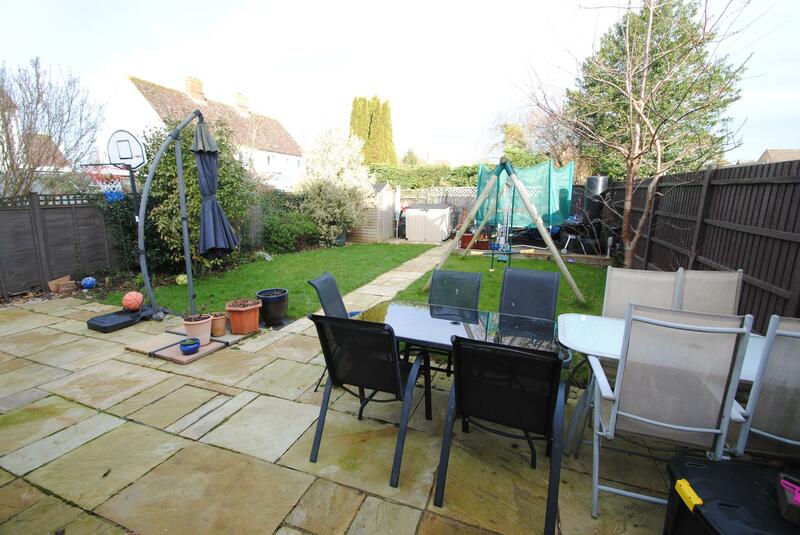 Rear garden, enclosed with patio area being laid to lawn and stocked with various shrubs there is a raised wooden decked area, garden shed.